Coinsquare announced that it will be launching its first stablecoin called eCAD. The newly introduced stablecoin is Canada’s first stablecoin and each eCAD is pegged to the Canadian dollar. Found in 2014, Coinsquare claims to be a premier cryptocurrency trading platform for trading Bitcoin, Ethereum, XRP, and other digital currencies, in Canada. It has raised a total of USD $53 million till date. The announcement did not mention the exact launch date of eCAD and does not detail on the underlying platform for stablecoin. 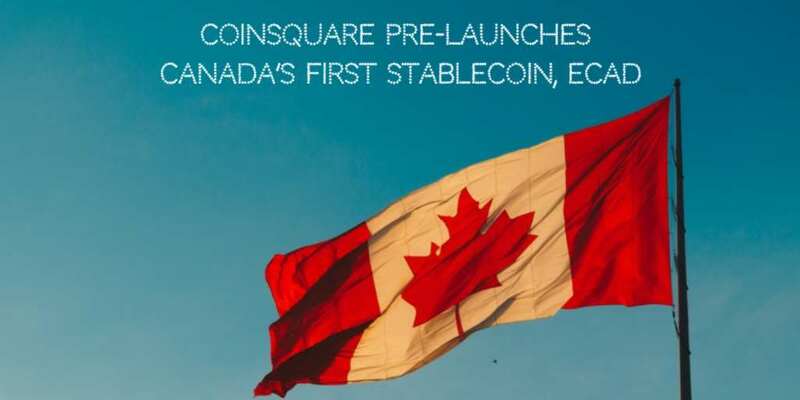 CEO of Coinsquare, Cole Diamond, said, "We are thrilled to announce the first step of our plan to bring stability and opportunity to the Canadian cryptocurrency market. The launch of eCAD will create the first transparent, affordable, and secure way of transferring value in Canada and beyond, without the risk of instability in the traditional cryptocurrency market." Coinsquare’s eCAD aimed to provide the stability of the Canadian dollar along with the benefits of digital currency. Similar to other popular stablecoin, for every eCAD token or stablecoin there will be one Canadian dollar (CAD) held in reserve. Coinsquare expects the addition of eCAD stablecoin offering will allow them to continue to explore how to optimize financial services including cross-border payments and remittance, peer-to-peer lending, merchant solutions, trade settlements, and FX conversions, notes the announcement.